Lying off the Southern coast of India in the warm waters of the Indian Ocean, Sri Lanka's 2,800km of coastline offer the visitor some of the best beaches to be found anywhere in the world. Sometimes referred to as the "Pearl of the Indian Ocean" and yet often passed over in favor of more fashionable locations in Thailand and the Maldives, it could be argued that Sri Lanka is one of the most underrated tourist destinations in Asia. 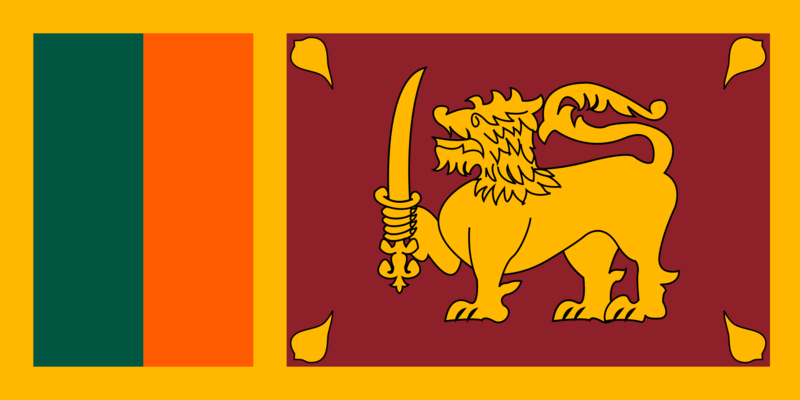 Unfortunately for Sri Lanka its tourist industry continues to suffer from an image problem, a legacy of the long-running and bloody civil war, ending with the defeat of the Tamil Tigers in May 2009. Tourism in Sri Lanka and the East and South Coasts in particular, were also badly affected by the Indian Ocean Tsunami of December 2004 and the country has not yet fully recovered from what was one of the worst natural disasters in Sri Lanka's history. However, blessed with an abundance of natural beauty and endowed with a 3,000 year old cultural heritage, tourism in Sri Lanka undoubtedly has a promising future. The highest concentration of beach resorts in Sri Lanka is in the West and South-West of the island which is also the most densely populated and developed area of Sri Lanka. Compared with the less developed and more sparsely populated South and East Coasts, the beaches here generally attract larger crowds, although even here it is still possible to find your own small piece of paradise and have it to yourself. Climate is an important factor in determining this geographical distribution in the popularity of beaches. The climate of Sri Lanka is heavily influenced by the annual monsoons sometimes making weather and water conditions unsuitable for the enjoyment of beach related activities. The months from mid-May to October and December to March coincide with the South-West and North-East Monsoons respectively and are associated with sustained periods of wind and rain affecting windward parts of the island. Generally speaking, beaches to the West and South of Sri Lanka are less exposed to the prevailing weather and the fact that the high-season occurs during the North-East monsoon has obvious consequences in terms of which beaches are favored by tourists. Starting on the West Coast just North of Colombo and following the coast in a counter-clockwise direction from there, the following are five of the best beaches in Sri Lanka. Conveniently located a short distance from Colombo and just 7km from Bandaranaike International Airport is Negombo beach, situated adjacent to the city of the same name. While not likely to win any prizes on the basis of its aesthetic appeal alone, this broad stretch of golden sand and surroundings have plenty to offer in terms of accommodation, restaurants, and other facilities and all budgets are catered for, from backpackers to the jet-set. Negombo is one of the largest commercial centers in Sri Lanka and the beach is also popular among its residents making it a good place to experience some of the local flavor and colorful lifestyles of the locals. After watching a beautiful sunset over the Indian Ocean and dining on a selection of the local fleet's catch at one the many seafood restaurants, Negombo's vibrant nightlife has plenty to keep the visitor occupied. In fact, the beach is just one of many attractions in Negombo and the city is worth exploring to see its colonial era architecture, network of canals and fish market. Lying 54km North of Sri Lanka's Southern-most city of Galle, is Bentota-another well established beach resort featuring a wide range of accommodations and activities. Watersports enthusiasts, in particular, will find plenty to do in Bentota and it is almost surrounded by water; ocean, lagoon and river. Some of the water-sports on offer here include snorkeling, diving, sailing, wind surfing, water- skiing, and deep-sea fishing. While one of the premier beach resorts in Sri Lanka, with almost 3km of palm-fringed beach, overcrowding is not a problem. Bentota Beach's romantic setting and many luxury and boutique hotels also make it a popular honeymoon destination. Following the coastline in a Southerly direction to Galle and beyond, the road then turns East and onto the South Coast, considered by many to be the location of many of Sri Lanka's best beaches. To be sure, there are some undeniably and breathtakingly beautiful beaches along this stretch of coast, and the beaches here have the added advantage of being less commercialized compared to those on the West Coast. Often top of the "best beaches" lists is Unawatuna one of the better known beach resorts on the Island. In a country of beautiful beaches, Unawatana stands out with its perfect crescent of white sand beach and invitingly clear water. Just 5 km from Galle, Unawatuna is easily accessible and yet its small size and location off the main coastal highway allow it to retain a relaxed atmosphere. For the most part, Unawatuna's tourist facilities cater to younger travelers on a budget and there are numerous bungalows and guesthouses providing accommodation as well as a number of beachside bars. There are also some excellent dive sites in the vicinity where divers have the opportunity to see some of the many species of tropical fish and turtles. On land too, the bio-diversity of the area and in particular, the variety of bird-life, has begun to be exploited for the purposes of eco-tourism.